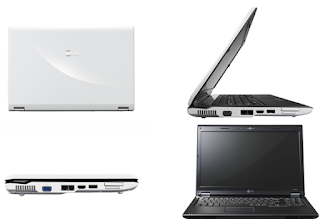 Home » Gadget » HP Envy » Laptop » LG Notebook » The Mind Control Project! For weeks, I’ve been bugging my sister to buy me a new laptop. She hates it when I’m into these antics again, lols. I really had to convince her by giving lists of good reasons why I should need one. My first line of defense is this, I really need a laptop because I will be involve a lot (like all of my life, lol) in software and web developments. It is very important I have portable pc so I can carry it around. Seriously, who wants to backpack a desktop, hello. Secondly, I told her that I am a blogger and in a way, I am monetizing such activity. She won’t believe, I am making money out of blogging even it’s about nonsense – you know the typical psyche, lol. And to give her proofs, I showed her snap shot of my Paypal showing transfer to my local banks. Because she’s clueless about how it works, her first concern was that how I am supposed to encash it in Philippine peso. Now, after showing her proof of my payments, somehow she was convinced but not totally. I can still sense suspicious in her heart. Then I remember, a couple of weeks ago, I was into persuasion process as part of my grand plan to learn hypnosis, so might as well tried it to her, yeah, to my own sister, lol. So, I told her, she needs to buy me a laptop because my birthday is coming and I won’t ask any gift but a laptop. "So, what if it’s your birthday?" She answered me back. "I just had my birthday last month you didn’t give me present?" She, added. My persuasion attempt somewhat failed, lol. I hate to admit but I was forced to give her a truce and that by shouldering the 50% of the cost. Oh I hate the idea when it was I who will be involve in cashing, lol. But then again, I can have my new laptop that’s not bad of a consolation, right? But I had an addendum to the truce. And that’s by paying her in installment basis, ahaha - she agreed, lol. My persuasion is not bad after-all. Now, I was asking her to find me an HP Envy 14 but too bad it wasn’t available in her location so she was suggesting some brands, a Lenovo, HP Pavillion, Acer, and Dell. I told her how about considering a Vaio or MacBook. Then she snapped me with “Okay no laptop for you” which of course I had a counter motion for reconsideration, lol. Well my criteria for a Laptop should be atleast 250 of harddisk, a 14” screen, I don’t like the 12” one it looks more of a net netbook and staring to a 15.3” is like looking at a desktop computer. She was having problem finding one that would suits my taste. Then her friend suggested how about LG notebooks, even though a new player but the looks and performance is very corporate. When my sister told me about LG at first I was taken aback. Hearing the name sounds like I will be carrying a television sets, haha. But then after she presented me the specs, I was quite impressed. I was doing a search on Google how’s it looks like and it’s not bad though it’s never close to my ultimate laptops MacBook Air and HP Envy 14. So, I have agreed for an LG and starting searches for the said model and I think it’s stylish. My laptop is one of the WIDEBOOKTM series, the R480 and according to their website it’s positioned as premium model and sports a stylish design along with the R580. It packs with Intel Core 2 Duo processors with 4GB of memory and NVIDIA GeForce graphics chip with up to 1GB of DDR2 video memory, providing plenty of power for general use and adequate punch for 3D games and it’s six times the performance of Intel’s GMA X4500MHD chipset. It boast superb features to help serve as mobile entertainment stations with a 16:9 widescreen display optimized for HD content and ships in 1600 x 900 and 1368 x 768 HD pixel. It comes with a Windows 7 Home Premium OS and so far, it’s working just fine according to what I want. I can now install all my favorite online games. Yay DotA all the way. I want to try Rohan and maybe it’s time to revisit my Cabal.